White Electric electricians are licensed, insured and highly trained to help you with any of electrical problems that may occur. Our trained electricians have been supplying quality, personalized service and competitively priced service throughout Little Elm, TX and neighboring towns for over 25 years, and we’re dedicated to providing outstanding services every single time. Our goal is to make your home or business safe and comfortable. We want to help you solve your electrical issues and guard against electrical dangers. 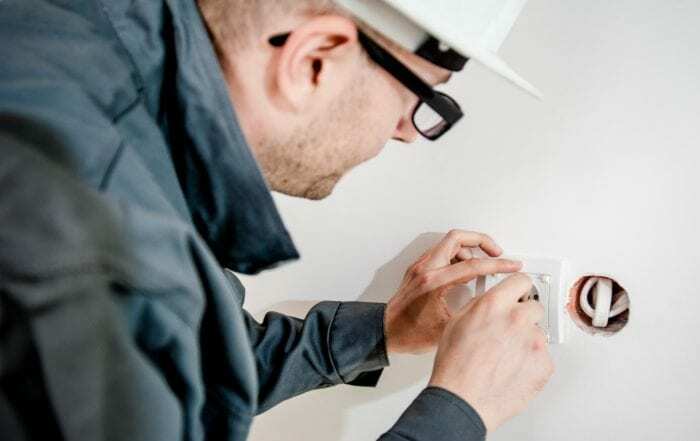 Our experienced and expert electricians work diligently to deliver unmatched electrical services and products, addressing a wide range of electrical and lighting needs for your home or business, whether inside or outside. With over 11,000 electrical contractors in the metroplex and more than 220 electricians in the Denton County area, it’s difficult to know if you have picked the best electrician for a job. Selecting a residential electrician to work in your house can also be stressful mainly because you really want to select a contractor that will prioritize your safety. From rewiring your entire residence to quick fixes, you ought to have the best electrician in the area. The ideal way to find residential electrical contractors in your area is by referral. Particularly if you live in a tight-knit town, ask around to find out who has done the best work in your neighborhood. Find a locally-owned business with an excellent reputation for the best customer service and reasonable rates. After you’ve narrowed down your search, feel free to ask the business you choose for work references or check out their reviews online. We're proud of the credibility we've built as a trusted electrician as demonstrated by our reviews on Google, Yelp and other websites. It’s also important to do some checking up on a company or contractor once you have a name in mind. Ask for a copy of their license and do not hesitate to make sure it’s legit. If you notice anything questionable, get in touch with the Better Business Bureau and get some more information. In the age of How-To Internet videos, it can be easy to attempt to make minor repairs yourself. No matter who you call, be sure to use a qualified, licensed, and insured electrical contractor to do any electrical work at your house. Replacing a light fixture or light switch can be done by those with some knowledge and the proper tools, but for anything more complex, it’s best to work with a professional. Electrical fires or other expensive mishaps can end up costing you much more. When in doubt – call a professional electrical contractor! At White Electric, we hope to be the best electrical contractor for you! And if we’re not, we want to help you find the right one for your project. We’ve been proudly serving Little Elm and North Texas communities since 1991, and we take pride in our honest pricing and exceptional service. We look forward to working with you!